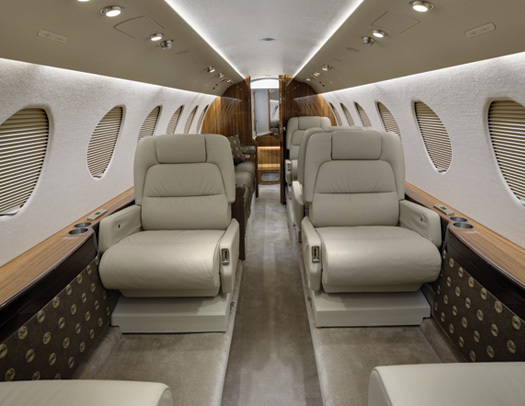 A refurbishment can completely transform and revive an aircraft, but those dramatic interior updates also come with a significant downtime and a price tag. Almost every aspect of an aircraft interior can be handcrafted, right down to the stitching on the seats, making each experience unique. 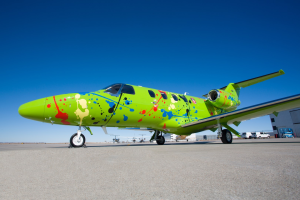 Although unique projects don’t necessarily lend well to generic FAQs, a general pattern of questions do emerge from prospects looking to have their aircraft refurbished. We've gathered a few, and as the answers demonstrate, it’s all in the planning. Do you have a design team I can work with? Aircraft refurbishment shop that is worth its salt will assign a designer to each customer project. Our team also works with personal home and yacht designers, as well as architects if clients choose to bring their own. It is not unusual for customers to ask to see prior projects. Your selected refurbishment ship should provide you with before and after photos to convey how easily the look and feel of a cabin with just a few updates can be transformed. What Cabin Management System (CMS) best fits my needs? Once again, it depends on the answer to questions determining the current equipment installed, and to focus options on the best solutions for the customer: For example, how many people normally fly on the aircraft? Is it being used for entertainment purposes, or are passengers giving presentations and working on the flight? Additionally, with every CMS comes a list of five to 20 different upgrades customers may wish to include. A competent sales expert will walk customers through their options to determine what they truly need, want, and what upgrades are worth the additional cost. Watch a video walkthrough of the Rockwell Collins’ Venue Cabin Management System. Most customers want their electronics to work in the air exactly as they do on the ground. Some fly internationally while others remain in the continental US most of the time. These factors greatly affect what aircraft Wi-Fi options are available to the customer. Nevertheless, once a customer makes a choice Wi-Fi can be a relatively simple addition. How involved is an LED lighting update? LED lighting has become incredibly popular because it completely transforms the cabin, and is more environmentally friendly, while saving weight and eliminating individual power supplied for each fluorescent bulb. The lights are so much brighter than anything previously offered, too. Again, because there are several options and colors of light to choose from, customers should be paired with a designer to choose the best option for their interior and design tastes. There’s nothing worse than having your new LED lighting installed, only to find it doesn’t work with your choice of a refurbished interior! 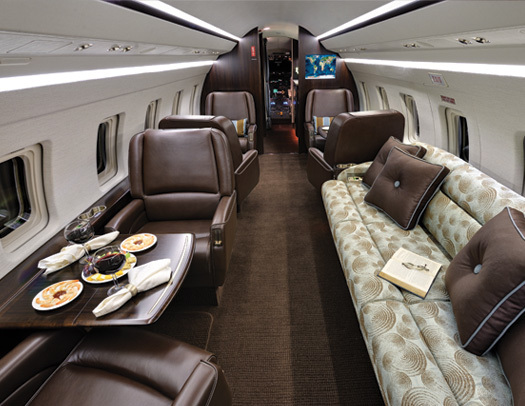 If possible, from a timing and budget perspective, it is recommended that you schedule interior and electronics modifications alongside a major inspection to get the most out of the time an aircraft spends in the shop. But as always, plan well in advance of that event as to exactly what you need, thereby eliminating unnecessary downtime and expense during the actual refurbishment project.